15 and up: please call (812) 720-9603. Printed on white high quality heavyweight matte paper. In 2009 one of our dedicated moms created our first calendar. These calendars highlight people with Down syndrome. We call them our models which makes them feel very special. In September we host a Calendar Release party where we unveil the new calendar and our models get a chance to walk the "red carpet". 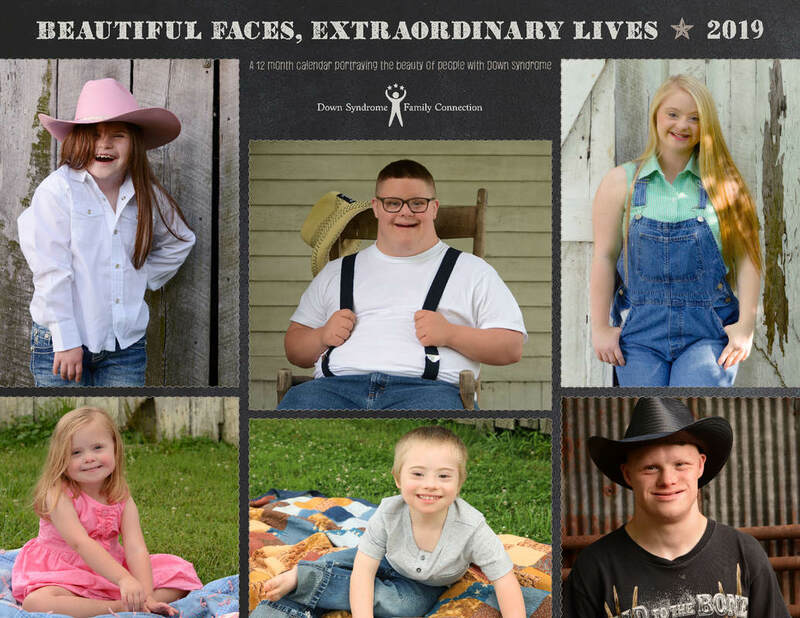 Enjoy the beauty of people with Down syndrome throughout the year with the DSFC calendar. Each of the 12 months features professional photos of people of all ages with Down syndrome from Bloomington and surrounding areas. There are personal notes about each "model," as well as important dates and fun holidays too. The calendar also contains information about Down syndrome, preferred language guidelines, helpful web links, and more, making it a great tool for outreach and awareness.